Ten book Tuesday: If you liked Divergent by Veronica Roth...try one of these ten books! 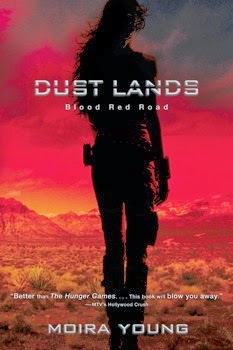 Blood Red Road by Moira Young: In a distant future, eighteen-year-old Lugh is kidnapped, and while his twin sister Saba and nine-year-old Emmi are trailing him across bleak Sandsea they are captured, too, and taken to brutal Hopetown, where Saba is forced to be a cage fighter until new friends help plan an escape. 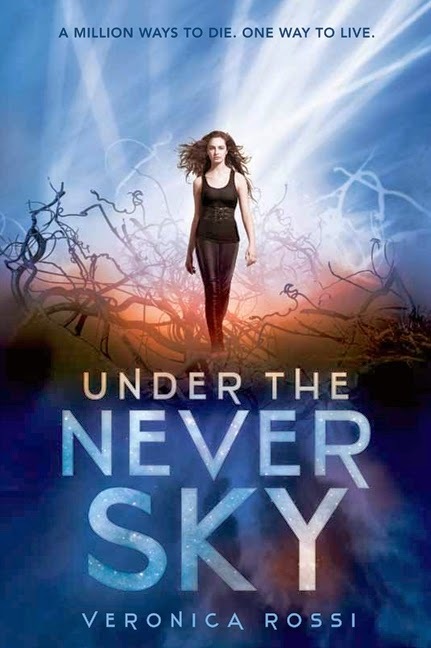 Under the Never Sky by Veronica Rossi: Exiled from her safe home in the enclosed city of Reverie, Aria finds herself in the outer wastelands known as the Death Shop. If the cannibals don't get her, the violent energy storms will. There she meets a savage, an Outsider named Perry - wild, dangerous - who is her only chance of survival. But Perry needs Aria, too, and they are forced into an unlikely alliance that will determine the fate of all who live under the never sky. 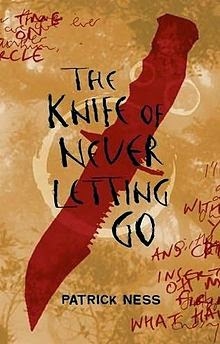 The Knife of Never Letting Go by Patrick Ness: Pursued by power-hungry Prentiss and mad minister Aaron, young Todd and Viola set out across New World searching for answers about his colony's true past and seeking a way to warn the ship bringing hopeful settlers from Old World. 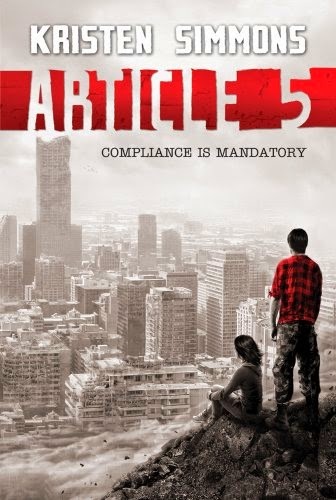 Article 5 by Kristen Simmons: Seventeen-year-old Ember Miller is old enough to remember that things weren't always this way. Living with her rebellious single mother, it's hard for her to forget that people weren't always arrested for reading the wrong books or staying out after dark. It's hard to forget that life in the United States used to be different. Ember has perfected the art of keeping a low profile. She knows how to get the things she needs, like food stamps and hand-me-down clothes, and how to pass the random home inspections by the military. Her life is as close to peaceful as circumstances allow. That is, until her mother is arrested for noncompliance with Article 5 of the Moral Statutes. And one of the arresting officers is none other than Chase Jennings - the only boy Ember has ever loved. 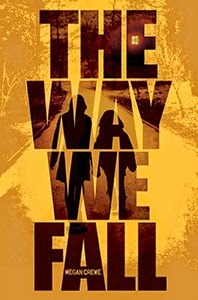 The Way We Fall by Megan Crewe: When sixteen-year-old Kaelyn lets her best friend leave for school without saying goodbye, she never dreams that she might not see him again. But then a strange virus begins to sweep through her small island community, infecting young and old alike. As the dead pile up, the government quarantines the island: no one can leave, and no one can come back. Those still healthy must fight for the island's dwindling supplies, or lose all chance of survival. As everything familiar comes crashing down, Kaelyn joins forces with a former rival and discovers a new love in the midst of heartbreak. When the virus starts to rob her of friends and family, she clings to the belief that there must be a way to save the people she holds dearest. Poignant and dizzying, The Way We Fall is the heart-wrenching story of one girl's bravery and unbeatable spirit as she challenges not just her fears, but her sense of what makes life worth living. 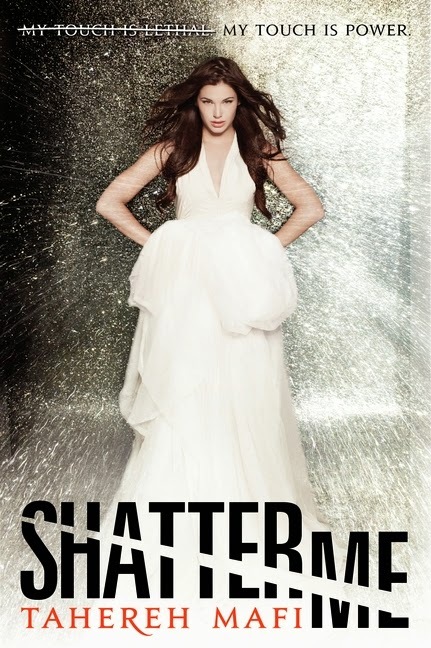 Shatter Me by Tahereh Mafi: Ostracized or incarcerated her whole life, seventeen-year-old Juliette is freed on the condition that she use her horrific abilities in support of The Reestablishment, a post-apocalyptic dictatorship, but Adam, the only person ever to show her affection, offers hope of a better future. 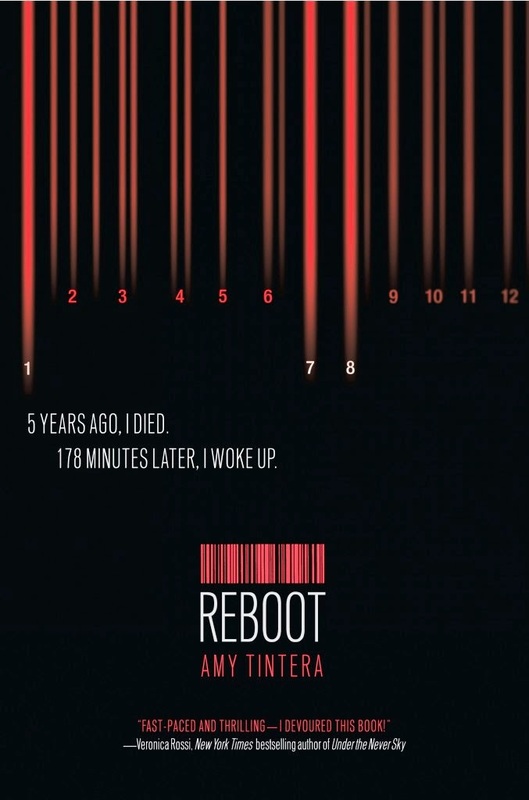 Reboot by Amy Tintera: '5 years ago, I died. 178 minutes later, I woke up.' In this post-apocalyptic thriller a deadly virus mutation sees teenagers raised from the dead and trained to be vicious soldiers until Wren, the deadliest Reboot, joins forces with Callum, the most innocent, to try to overthrow the organisation that has corrupted their world. 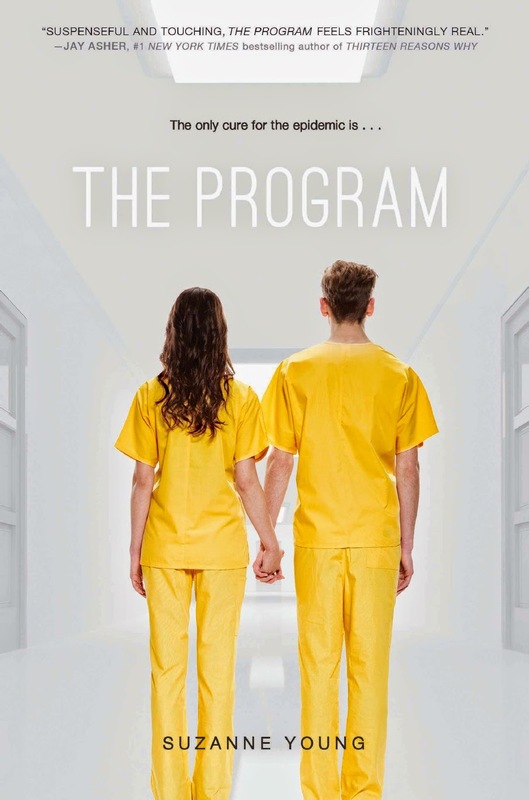 The Program by Suzanne Young: When suicide becomes a worldwide epidemic, the only known cure is The Program, a treatment in which painful memories are erased, a fate worse than death to seventeen-year-old Sloane who knows that The Program will steal memories of her dead brother and boyfriend. Breathe by Sarah Crossan: The world is dead. 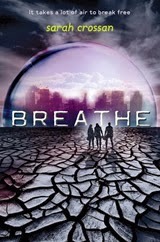 The survivors live under the protection of Breathe, the corporation that found a way to manufacture oxygen - rich air. Alina has been stealing for a long time. She is a little jittery, but not terrified. All she knows is that she is never been caught before. If she's careful, it will be easy. If she is careful. Quinn should be worried about Alina and a bit afraid for himself, too, but even though this is dangerous, it is also the most interesting thing to happen to him in ages. It isn't every day that the girl of your dreams asks you to rescue her. Bea wants to tell him that none of this is fair; they'd planned a trip together, the two of them, and she'd hoped he'd discover her out here, not another girl. And as they walk into the Outlands with two days' worth of oxygen in their tanks, everything they believe will be shattered. Will they be able to make it back? Will they want to? 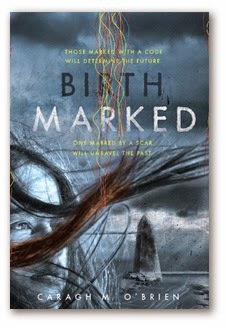 Birthmarked by Caragh M. O’Brien: In the future, in a world baked dry by the harsh sun, there are those who live inside the walled Enclave and those, like sixteen-year-old Gaia Stone, who live outside. Following in her mother's footsteps Gaia has become a midwife, delivering babies in the world outside the wall and handing a quota over to be "advanced" into the privileged society of the Enclave. Gaia has always believed this is her duty, until the night her mother and father are arrested by the very people they so loyally serve.